Are you just getting started on an animal career search, changing from one career to another, or simply wondering what options might be out there for someone interested in working with animals? 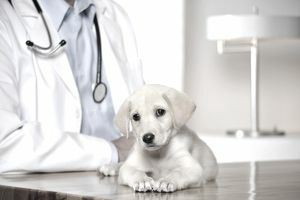 While your first thought may be the always popular field of veterinary medicine, there are many other careers with animals that may be of interest to you. Here is an always evolving list of career possibilities for animal lovers divided into categories. A few careers are listed in multiple categories when appropriate. Wildlife careers can involve a wide variety of native or exotic species. Zoo careers, fish and game management careers, biology-related careers, and wildlife rehabilitation careers are just a few of the available options. Some animal careers don’t quite fit any of the categories mentioned above. These careers combine an interest in animals with work in law, training, photography, painting, or writing. Be sure to pursue animal-related internship opportunities. There are options available in a number of fields and internships can enhance your resume by providing proof of practical experience.